Five of the most anticipated digital commerce developments for 2017 with analytics of predictions for 2016: what came to pass and which e-commerce forecasts turned out to be duds. Forecasting by definition is prone to errors, but paraphrasing a famous strategist, just as plans often turn out to be useless, planning is often essential – especially in the rapidly evolving world of eCommerce. With this in mind let’s summarize the year 2016 in online commerce with a brief post-mortem of last year’s most hyped forecasts. Then, take a look at e-commerce predictions for 2017 and what implications they hold for your online store. Start of 2016 was an exciting time to be in eCommerce! At least, that’s what we were thinking as we scanned the forecasts for the year ahead. Some of the trends we were anticipating materialized, while others now cause a chuckle. Before we move on to 2017 let’s review our hopes and fears from a year ago! 1. Extended Customer Service Options, including via Facebook and online chat plug-ins have gained acceptance, as customers are starting to expect immediate retailer feedback. 2. Mobile Optimized e-Commerce Shops have gone mainstream in 2016, and arguably store owners have come to terms with the customer expectations of accessing online stores from any device, on any connectivity speed. 3. Return of eCommerce Email Marketing as an effective customization and conversion rate improvement tool has become commonplace in 2016. A variety of e-commerce email marketing solutions are a testament what while email marketing outside of e-commerce has become something of a taboo, it is an established part of customer expectations in the world of digital shopping. 1. Flash Sales marketplaces were still a thing at the dawn of 2016, or were they? Founded in 2008 Groupon (along with a plethora of copycats) are now a distant e-commerce memory. When was the last time you used them or considered a similar marketplace to clear up some warehouse space? We (and many others along with us) didn’t in 2016 and for that reason the deeply discounted GRPN stock isn’t a bargain even at 80% off their IPO price in 2011. 2. Better Product Information had been widely expected, with high image quality, videos and contextual product descriptions anticipated to become the norm in 2016. Yet, one year does not all the difference make: rise of mobile device shopping has shifted attention to mobile-optimized e-commerce stores, and spotty mobile internet means that broadband-hungry content is not ideal for mobile shoppers. 3.Go Omnichannel or Die prediction didn’t necessarily come to pass, and frankly we’re happy it didn’t. After all, not every online store needs to cross-list their products on Amazon to be more successful. Moreover, with the number of eCommerce channels constantly multiplying, store owners are at risk of fragmenting budgets and attention across so many properties to the point of degrading the overall service levels. Gazing into our crystal ball, let’s see what 2017 holds in terms of digital trends that have the greatest potential to reshape the eCommerce landscape. Let’s address the elephant in the room right away: in 2017 the visitor-to-buyer conversion ratio, the Holy Grail of e-commerce, will be undermined as a ratio of an online store’s effectiveness. In 1995 every 10th search for an airline ticket resulted in a booking, resulting in a 1:10 look-to-book ratio. In 2017 airline look-to-book ratio is expected to be in the neighborhood of 1:10,000, a 1000-fold increase in 22 years! Similar to the online airline tickets booking industry, online shopping analytics in 2017 will be rendered almost meaningless by the same forces: changes to consumer behaviour and more third party services accessing online store pages. With the rise of the number of online shopping platforms (and store data mining robots that help to sort through them) more products, more varied search criteria and more flexible shopper behaviour are bound to make historical conversion rate data almost irrelevant. Strategy Takeaway: separating live shoppers from robots / services accessing online store pages on their behalf will become a real challenge. Store accounts, social logins and similar identification methods will be more prominent in helping to identify the “true live” person to purchase conversion rate (across all devices and platforms). With the online giant Amazon experimenting with highly automated (read: self checkouts and warehouse robots) offline book and grocery stores, commerce battles are arising on all fronts. It is not just the traditional brick-and-mortar stores who are opening branded and multi-channel online marketplaces. With social networks like Facebook and service providers of all stripes expanding into online commerce, staying competitive becomes increasingly at odds with being focused. While the temptation to try every new selling platform may be great only a few leading retailers have the resources to deliver the same great online shopping experience across multiple fragmented e-commerce platforms. 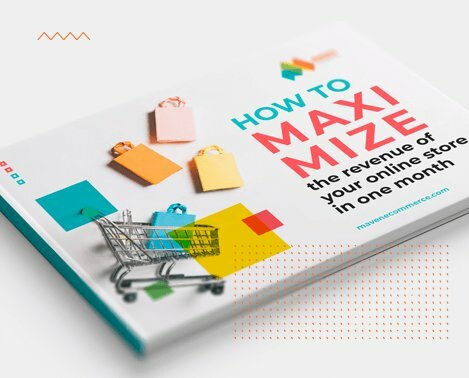 High-value innovative products may need to be available on the latest e-commerce platforms, but considering most store owners resources your old (but well-optimized) Magento-powered store may just be enough for most digital retailers. Strategy Takeaway: focus on the customer’s pain points to inform your marketplace strategy. Experiment with limited-time, limited commitment pop-up store type activities with, for example, a unique, single product to test various platforms’ viability. If you’re thinking that in 2017 mobile will still be a fad and that your e-commerce store needs no special approach to customers accessing your store through the smartphones you’ll be losing money. Phones have replaced many devices already, and in 2017 they will act more and more like wallets. Have you tried entering payment data via a smartphone? Even on larger screen devices typing sensitive data is a pain, one that we think will be resolved by the most competitive online merchants. Once your customer experiences hassle-free one-touch payment at your competitor’s marketplace you are not likely to see them again. Strategy Takeaway: start asking your payment processing service provider about options for mobile wallet integration options. Consider adding top mobile wallet services in your market, be it Google Wallet, Apple Pay, Amazon Payments or other relevant mobile wallet services. Fitted t-shirt, 100% organic cotton, grey, made in Bangladesh of US fabric. E-Commerce store owners today can no longer afford to be lazy and copy-paste manufacturers’ product descriptions. As customer journey becomes even more nuanced in 2017 shoppers will expect many more of their questions to be answered in a variety of contexts: demographic, behavioral and situational. “Is this garment a good choice for my height / frame / jeans I wear / etc. ?” “How far does the “organic” ethos stretch for the manufacturer, retailer, merchant?” “Does this product seem like a necessity or a splurge?” Online store owners need to think how product presentation can satisfy both the logical and the emotional part of the shopper’s journey. Strategy Takeaway: revisit your product pages. Brainstorm with your team (or even family and friends) as to what kind of questions is your store not answering. What shopper concerns are you leaving unaddressed? What more can you do to to put the shopper at ease? Found gaps will help inform your product information improvement strategy. Imagine that your store’s autonomous chatbot could instantly analyze your customer’s purchase history from across the internet (or at least their Amazon purchase and wish list data) and immediately offer a one-click shopping experience over their smartphone thanks to a Facebook login or an Apple Pay selfie approval. The devil is in the details that are yet to be worked out, yet in 2017 we are guaranteed to see investments by e-commerce leaders into A.I.-powered automation. Next, it will be everybody else’s turn, with an ecosystem of solution providers taking shape to service smaller players. Magento A.I. extension, anyone? An immediate e-commerce boom due to automatization may immediately materialize, but just imagine the combination of IBM Watson-like general intelligence or self-driving Teslas and the challenges of delivering the equivalent of just what the customer wants becomes not so far-fetched. In 2017 we will probably see the first modest signs of A.I. integration efforts that, with mixed results, your competitors are likely to invest in. Strategy Takeaway: e-commerce automation is still in its early stages, so don’t rush here in 2017 as achieving quick wins in this area is not a viable strategy. Do create a list of e-commerce A.I. automation and big data decision services (and service providers) and monitor your top 5 competitors for cases of successful (and not so successful) self-service automation implementations. What do you think of our e-commerce trends forecast for 2017? Which developments do you see gaining prominence and impact on digital commerce in 2017? Please share your questions and thoughts in the comments section below!